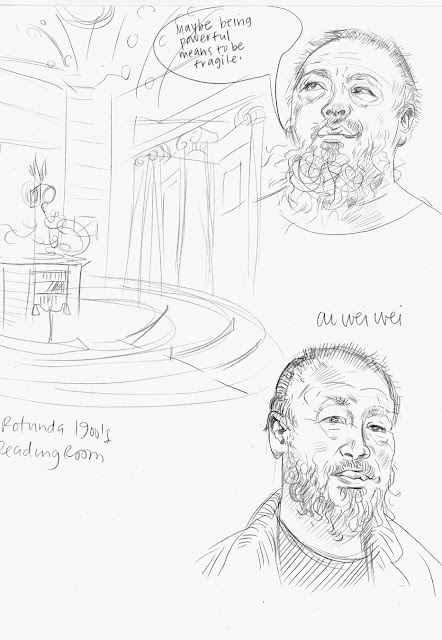 Last night in the studio: drawing Ai Wei Wei, listening to Beyonce. Life is interesting. I recommend checking out the doumentary Ai Wei Wei: Never Sorry. These are drawings for a secret project-- I can tell you about it in a week when it's done!